Do you know which immunizations your child needs? August is National Immunization Awareness Month, a timely reminder for all of us to make sure our families’ immunization records are complete and up to date. 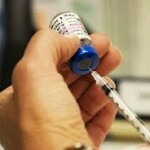 According to America’s Health Rankings, a state-by-state analysis of the nation’s health, 91 percent of Illinois children aged 19 months to 35 months have received the recommended vaccinations – up from 89 percent in 2010 and just above the Centers for Disease Control and Prevention’s (CDC) target of at least 90 percent. Ask your doctor what immunizations your child needs and what age your child should get them. Follow your doctor’s immunization schedule. When your child is getting one shot, make an appointment for the next. Most immunizations are given by the time children are 2 years old, but some are given into the teen years. Ask your doctor for a copy of the screening and immunization record. This will help you keep track of your child’s tests and shots, which child care providers and schools will ask for. Your child may run a fever or have swelling in the shot location after getting the immunization. Check with your doctor about possible side effects and giving your child an over-the-counter pain medication. Follow the doctor’s directions carefully. Another helpful online resource, www.uhcpreventivecare.com, provides information about preventive care guidelines – such as routine health screenings and immunization schedules – that are customized based on age and gender.